Most vehicle owners know pretty basic facts about their tyres. They understand that tyres are made of rubber and play an integral role in the smoothness of the ride. They also generally understand that quality tyres are necessary to ensure safety. But there are quite a few things about tyres that vehicle owners may not be as aware of. Here are some of the main things that every vehicle owner should know about their tyres. When it comes to Aldershot tyres and safety, you want to be sure that your tyres are inflated to the recommended level before driving. This is especially true if you plan on travelling at high speeds. Driving with under-inflated tires can cause your tyres to blow out, which can end up leading to some pretty serious and potentially life-threatening consequences. 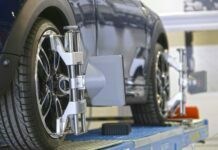 If your vehicle seems to be experiencing constant vibrations, the cause is most often an imbalance in your tyres. Fixing this is sometimes as easy as making sure that the inflation level of all of the tyres is at the same point. In other cases, you may have to go to a tyre fitting company to assist you with this issue. One thing many vehicle owners are unaware of when it comes to their spare tyre is that it is generally intended for temporary use only. Most spares are much smaller and lighter than a typical tire, in order to make it easier to perform a quick change when a flat occurs. This means that, even after you have replaced your flat with a spare, you should look to get in touch with a tyre shop as soon as possible for a replacement.